We have customers who may need to conduct sales at one venue, such as a trade show or festival, and then manage and report on the transactions back at the main office or on a different computer. This new receipt transfer feature supports that. GiftLogic Point of Sale (POS) software has a new premium feature available for retailers that operate multiple stores or sell at offsite venues. The new Sales Receipt Transfer feature allows retailers to export sales from one store into a text file that can then be imported into another store in GiftLogic. According to a spokesperson from GiftLogic, "We have customers who may need to conduct sales at one venue, such as a trade show or festival, and then manage and report on the transactions back at the main office or on a different computer. This new receipt transfer feature supports that." Another use case for the Sales Receipt Transfer involves migrating sales histories from different point of sale systems into GiftLogic. "This is a handy text-based import / export tool that makes transactions from different stores or point of sale systems extremely portable," the spokesperson said. The Sales Receipt Transfer Utility tool is found in the back-office management portion of GiftLogic POS. Two tabs, Import Sales History and Export Sales History, walk users through the process of transferring receipts to or from GiftLogic POS. New GiftLogic customers can migrate sales from another POS system by downloading an import template and transferring transactions into GiftLogic. "This allows them to take advantage of our historical reporting system even if they weren't using GiftLogic POS at the time those sales took place." 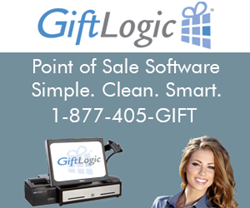 GiftLogic develops easy-to-use, yet powerful POS software and provides the highest level of customer support. GiftLogic's POS software comes with a robust set of standard features to help small retailers better compete in today's competitive retail environment. Optional premium features such as the Sales Receipt Transfer Utility, allow merchants to build a GiftLogic Point of Sale system that best meets their needs.